New for individual producers! 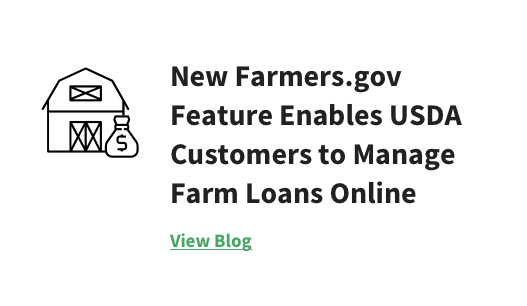 Securely view loans and financial information, interest payments, loan history, paid-in-full and restructured loans, and account alerts through the farmers.gov portal. 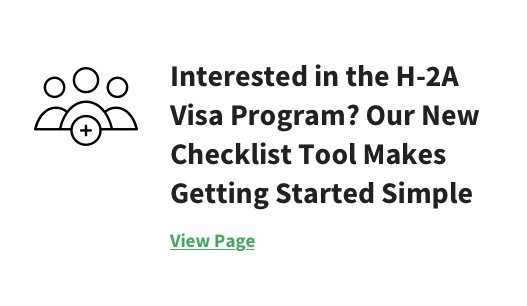 Sign in with your Level 2 eAuth account or sign up now. Healthy soil is the foundation of productive, sustainable agriculture. Learn about the four principles of soil health, and how you can work with the land, not against it. The 2018 Farm Bill supports our nation’s farmers, ranchers, and land stewards by enhancing farm support programs, improving crop insurance, maintaining disaster programs, and promoting and supporting voluntary conservation. Share your thoughts about how USDA can streamline and improve program delivery.